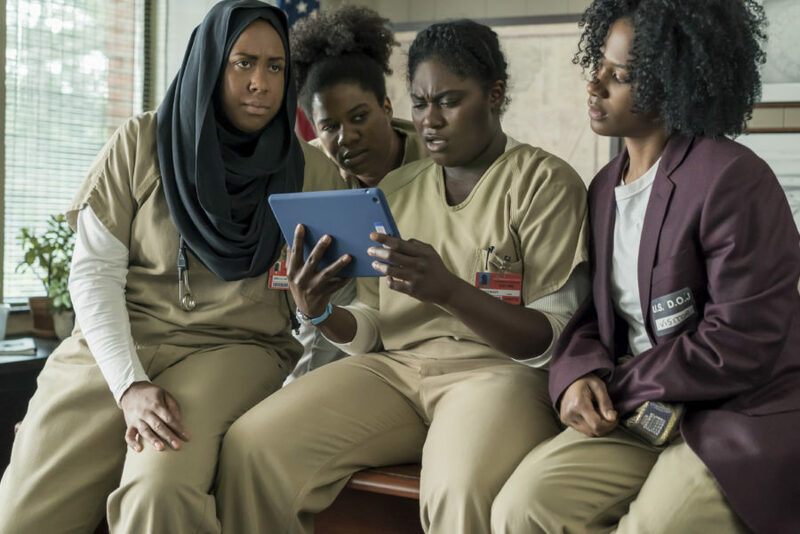 With just one month to go before Orange is the New Black Season 5 hits Netflix, the streaming platform is giving us a little treat, releasing a new trailer *and* a whole lot of stills. 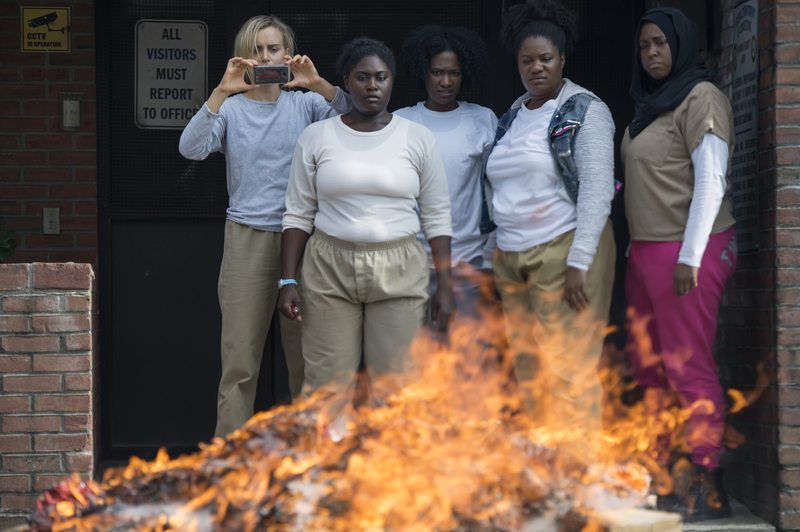 While the intense new season is set over the course of three days, after the inmates of Litchfield Penitentiary gain control of the prison, there’s a hilarious new addition to the cast: Cell phones. That’s right, we’ve spent the last four years in prison with the Litchfield ladies, where cell phones use is strictly prohibited by inmates — until now. While we’re *really* interested to see how the use of cellphones will shake things up in Litchfield, these cellphone-infused shots are giving us a taste of what to expect. Some inmates will use their phones to publicize the Litchfield riots, like Piper, Taystee, and the leaders of the revolt. The ladies will be using their newfound technology to bring attention the abuse they’ve been subjected to while at the prison. 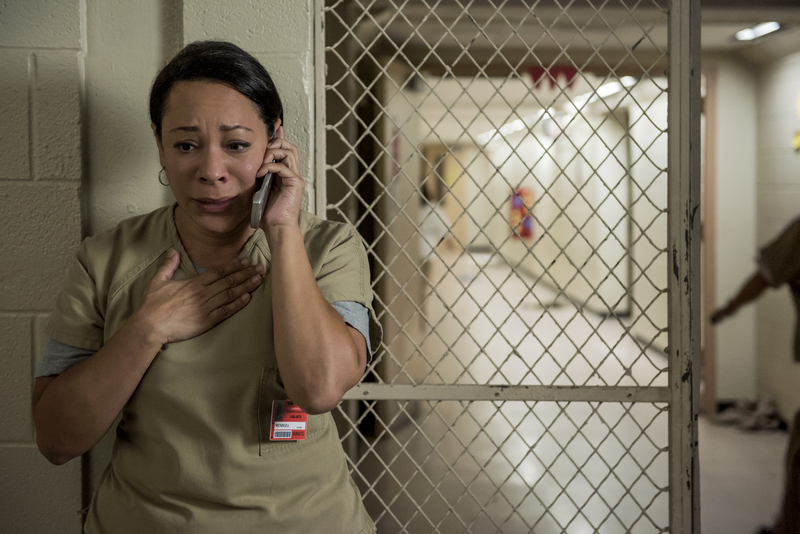 The conditions they’ve been living in and the abuse they’ve faced caused the death of Poussey Washington in the penultimate episode of season four. We’re sure Gloria, who has a *lot* of family on the outside, will be using her phone to check up on her kids. Based on what the trailer shows, it seems that the Litchfield riots are going to some serious media attention to the prison. It definitely seems plausible that some of our favorite characters will want to get in touch with friends and family on the outside. 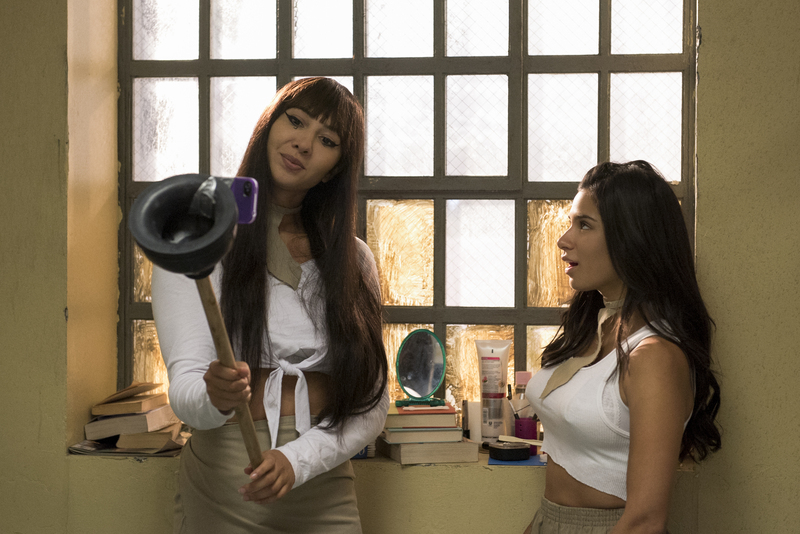 Naturally, Flaca and Maritza will get creative and use their phones (and plungers) to perfect their selfie pouts. Just because the media is covering the riots, doesn’t mean Flaca and Maritza aren’t going to look good. Based on the trailer, it seems they’ll be embracing the newfound media attention surrounding the chaos at Litchfield. But come on, if someone’s going to emerge from this season Instagram famous, it’s going to be them, right? The upcoming season of Orange is the New Black is going to be a wild, emotional ride and we can’t wait to see it on June 9th!.